Here is just a small sample of the activities I might be found doing in my down time or for research. FAA Small Unmanned Aircraft Systems Certified Pilot Will Y. flying a DJI Inspire 1 v2 with a Zenmuse XT thermal camera taking a selfie at the USDA facility in Maricopa, Arizona. Hiking itself is a great leisure activity for myself. Add hunting for rocks and I am happy as a clam! 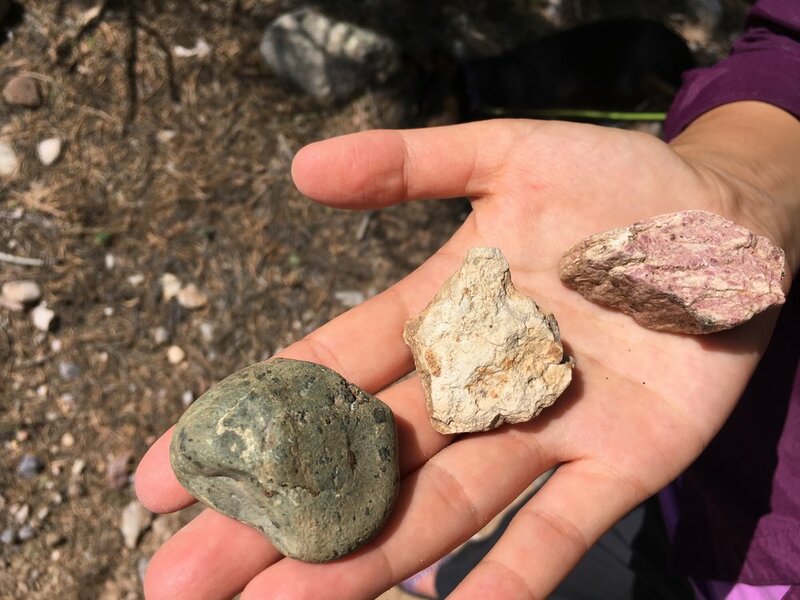 On this hike, found red, white and black agate. Some are even druzy configuration! Can’t enough of the stuff! These were among the favorite pieces. 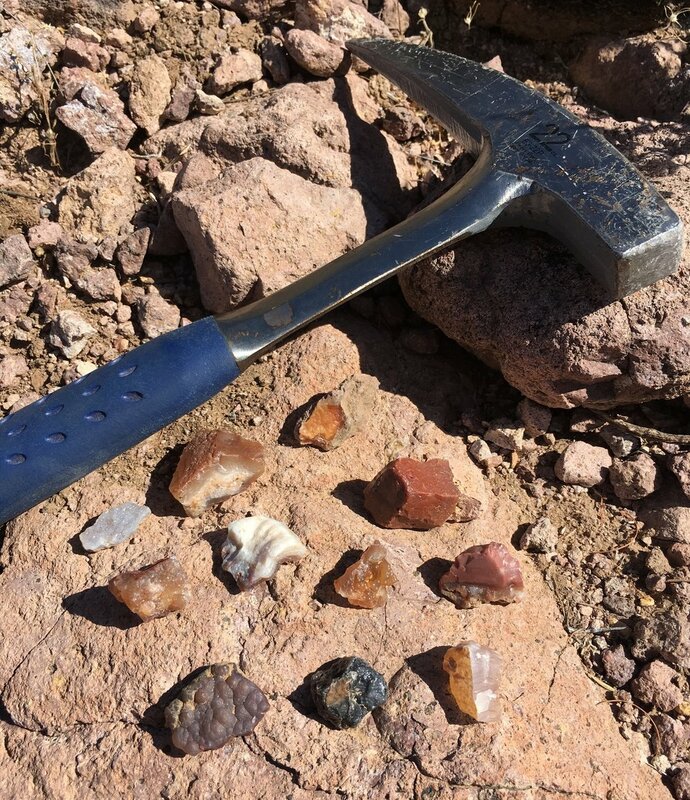 A. agate vein had been exposed near the top of a switchback trail so all of these small pieces had eroded down. This was one of the larger pieces found. 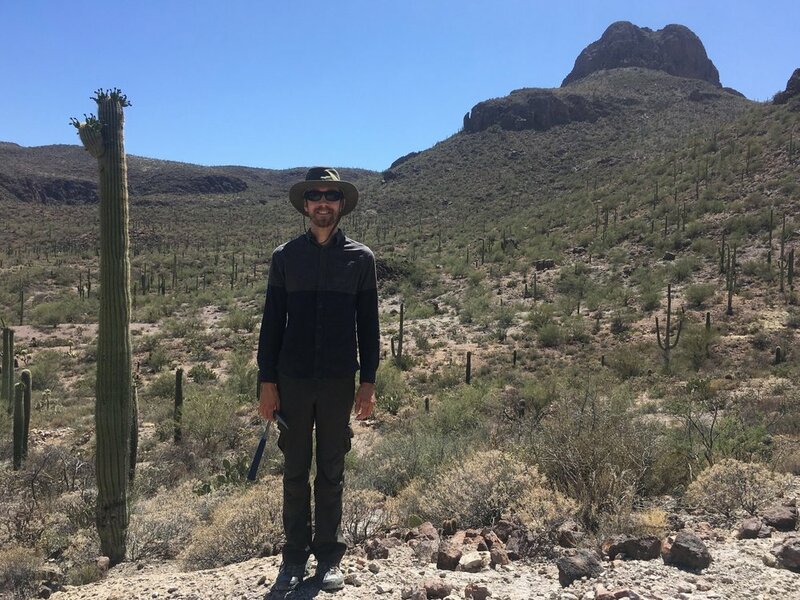 Advertising a beautiful specimen in New Mexico in Summer 2018. The biggest sample of the rock found that day! Conc Retion. This beaut was found in a wash in one piece. It just happened to fall on top of another rock at ~3G’s and then splitting. Weird. 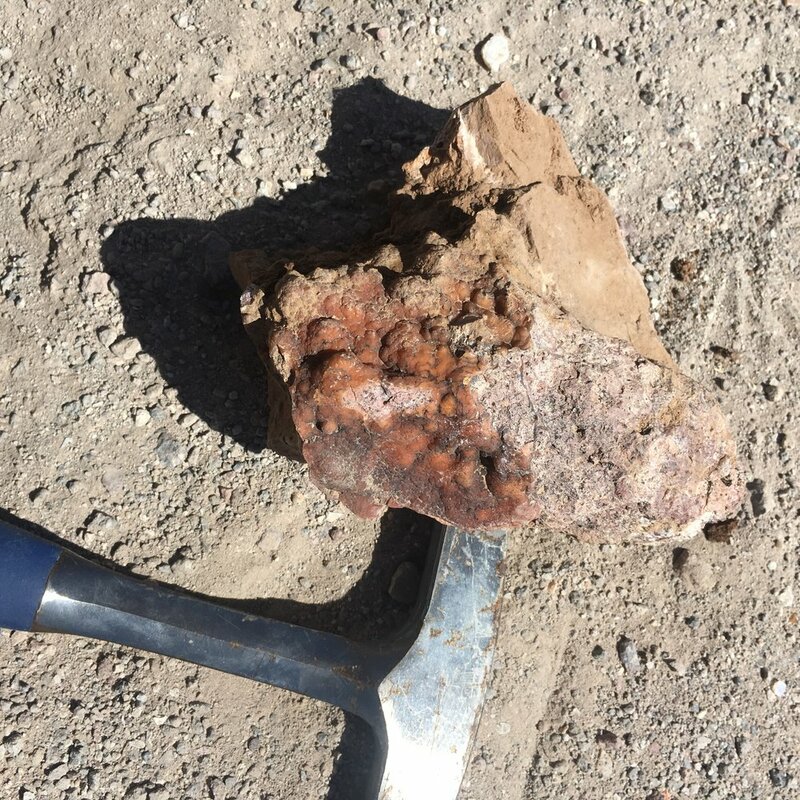 Travelled about an hour to find this vein near a mica mine. In short, this was huge (that’s Rockhound Will Y. at the top)! Mica was everywhere. All of the rocks had a shimmery quality to them, especially the vein. I may or may not have peeled a few books apart layer by layer. 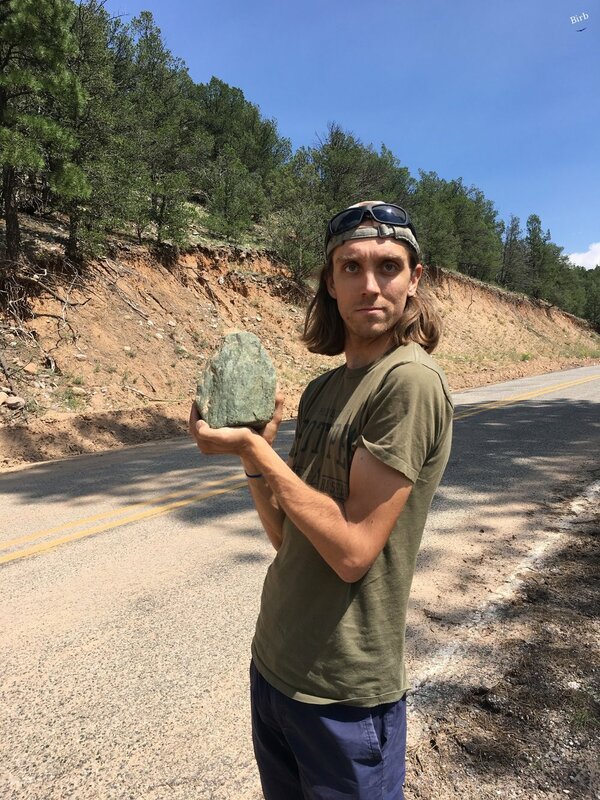 May have found massive green beryl, mica, and K-spar with garnets! I am also passionate about fermenting foods! I learned most of what I know by reading material authored by Sandor Elix Katz. Peep my creations below! 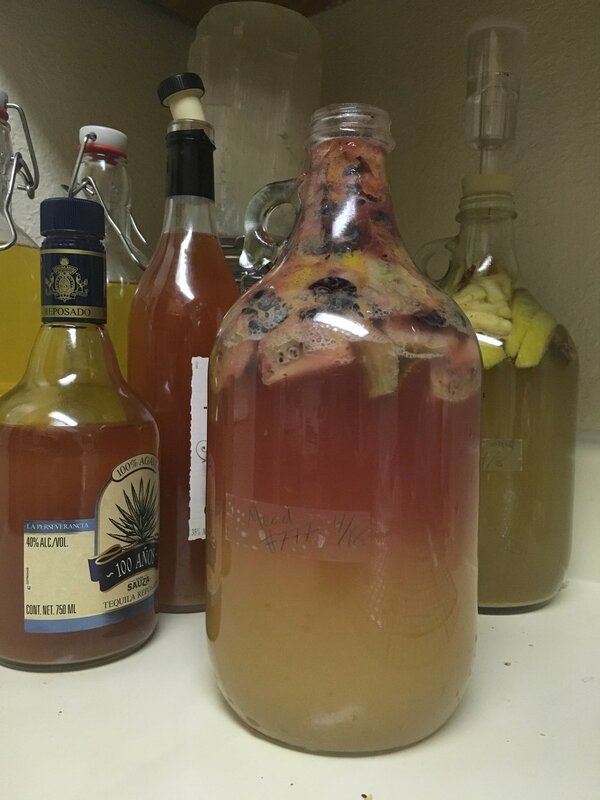 A tropical fruit mead with kiwi, berry and much more! Sign up with your email address to receive updates when new blog posts are uploaded.